David Dendy – Laugh Often and Fear Not! 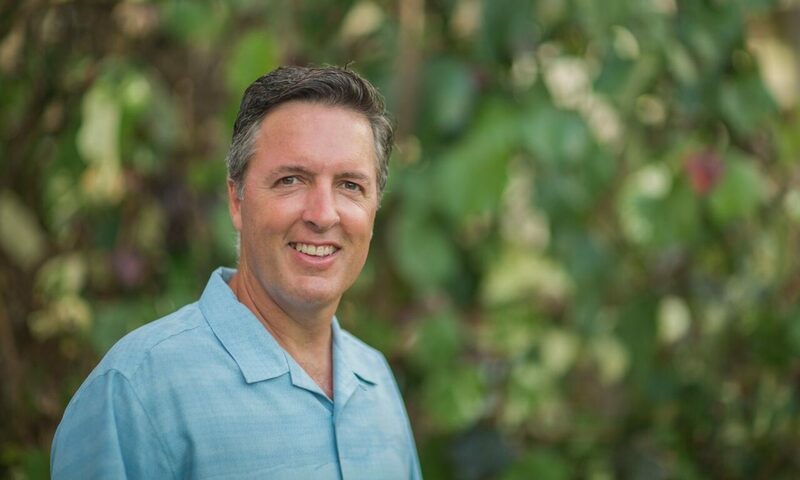 Pastor, Author, Fundraiser, Blogger, Husband, Father and wannabe Professional Tennis player, David Dendy has his heart set on encouraging people to maximize their relationship with God. You are an amazing child of God! God has gone to great lengths to create YOU – His masterpiece! God showcases His love, grace, beauty, and creativity each and every day. You long to see it, experience it, touch it and feel it. Sometimes we need a fellow traveler along the road of life to help us see the signs God has posted along the way. With close to thirty years of being an ordained Pastor, twenty years of experience in raising over a quarter of a billion dollars and author of fourteen published books, David Dendy relishes the privilege of journeying with others in discovering the wonder of experiencing God’s handiwork every day. Perhaps you desire a more intimate and closer experiencing of seeing God actively at work on a daily basis. Are you looking for a daily devotional to help you stay on track with insights, observations and stories surrounding God’s word? Check out David’s Books page. Maybe you are a Pastor, a church leader or involved with an incredible non-profit organization and God is using you in amazing ways to increase His kingdom. Now the time has come to raise a boatload of money so your mission, vision, and facilities can be integrated in a way to maximize the impact of God’s grace and love on your people’s lives. You start to recall your classes in Seminary or other training classes only to realize, “No one ever taught a class on how to raise money for a Capital Stewardship Campaign! !” Fear not! Help is but just a click away! Check out David’s Raising Money page. You have a wonderful organization in which you are actively participating. This fantastic group of people needs an extra dose of inspiration, motivation or even a measure of humor and challenge at their next gathering, be it an annual meeting, weekend retreat or a weekly lunch time event. Check out David’s Speaking page. David Dendy invites you to join the challenge of Seeing God at Work Every Day through the lives of everyday people experiencing everyday life! Is it possible to see God at work every day? For 365 days, David Dendy embarked on this incredible life-changing challenge, only to discover along the journey that the answer is an emphatic yes! Seeing God at Work Every Day is an invitation to live life with the eyes of our hearts wide open – to see and experience the very hand of God at work…not just once in a blue moon, but day after day. Seeing God at Work Every Day is an interactive journal that stops you from being a spectator in the bleachers of life and places you right in the middle of the field, where God is at work every day. Combining observations from the everyday interactions and encounters we face on a daily basis with scripture lessons and spiritual insights, David Dendy takes us on a forty-day challenge that will change the way you see life and how God is at work every day. Is God really at work every day through parking meters, dimmer switches, name tags, oxygen masks on airplanes, Gorilla Glue, Wite-Out, state patrol officers, and Superman? David Dendy’s iWitness daily devotional books for each month are also available from Amazon.com in Kindle or Paperback. Click on a cover to read a sample. You are a pastor, a church leader or involved with an incredible non-profit organization and God is using you in amazing ways to increase His kingdom. Your church or organization is busting at the seams of your facilities and the problem is evident to all – your facilities no longer facilitate the values of your organization. Now the time has come to raise a boatload of money so your mission, vision and facilities can be integrated in a way to maximize the impact of your organization on the people and community you serve. Fear not! David Dendy has twenty years experience raising money with a hundred churches and non-profits, by providing a well organized, time tested, detailed plan to organize your church or non-profit, to involve your members, and to prayerfully challenge your people to give sacrificially in a way which meets your impending and vital need. Hundreds of fabulous pastors and leaders have enjoyed David’s leadership in making their God given dreams come true by helping them raise over a quarter of a billion dollars. A large number of pastors and leaders attempt these types of campaigns on their own without qualified assistance, only to see a failed campaign where the congregation, the members of the organization question their own wisdom, faith and abilities while sending their organization spiraling downward instead of propelling it upward and onward. David’s greatest desire is to position you in such a way where your organization can thrive for years to come. David would love to hear more about your church or organization and visit with you about how to move forward in a way to ensure the success of an amazing Capital Stewardship Campaign. David would welcome the privilege of speaking to your group. Engaging, humorous, transparent, authentic, applicable, thought provoking, inspiring, motivational, are just a few adjectives people have used to describe David’s messages. Contact David at daviddendy@daviddendy.com for booking or more information.